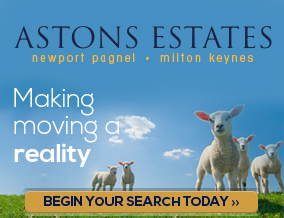 Astons Estates ask are you looking for a CHARACTER PROPERTY in the HEART of Newport Pagnell. This property is a real GEM with EXPOSED BEAMS throughout, offering GREAT LIVING SPACE, UNIQUE FEATURES, TWO SEPARATE SHOPS with a guide rental price of £5200 per shop per year, REAR GARDEN, GARAGE, to view this rarely available property with NO UPPER CHAIN, Call Astons today. Door to front, electric metal up and over garage door, power and light, doors to both halls in to the main house. Door and windows to rear garden, door to bedrooms, door to cloakroom, door to kitchen/breakfast room, radiator, tiled flooring. Low level W/C, hand basin, obscured window to rear, tiled splash areas, carpeted flooring. 16'04'' X 10'11'' French doors to rear garden, door to bedroom 2, door to second hall, radiator, carpeted flooring. 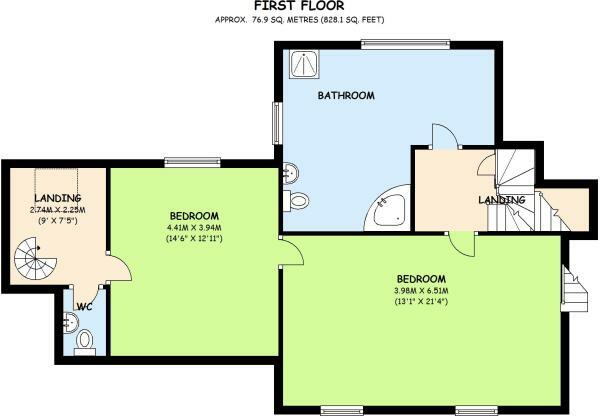 11'10'' X 10'06'' Window to rear, hand basin with vanity unit, radiator, carpeted flooring. 13'08'' X 11'07'' Fitted with a range of eye and base level units with worktop over and breakfast bar, eye level double oven, gas hob with extractor fan, space and plumbing for washing machine and dishwasher, 2 bowl sink with mixer tap and drainer, integral fridge/freezer, radiator, window to rear, tiled splash areas and flooring, door to cellar and stairs. 26'05'' X 12'01'' Carpeted stairs and flooring, power and light, exposed beams, water tank. 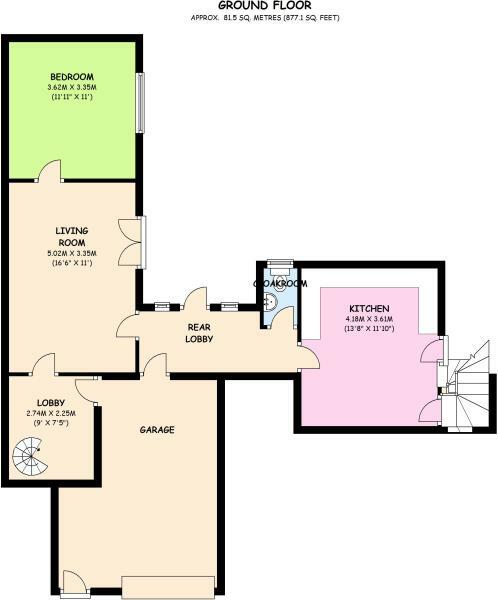 Carpeted flooring, spiral stairs, velux window, exposed beams, door to garage, door to bedroom 3, door to cloakroom. 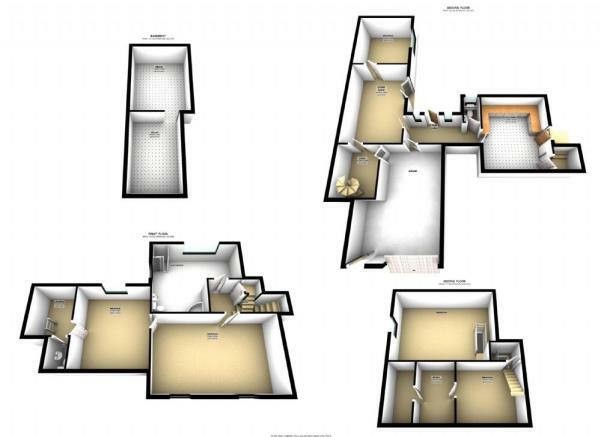 Low level W/C, hand basin, radiator, exposed beams, tiled splash areas, carpeted flooring. 14'06'' X 13'03'' Window to rear aspect, exposed beams throughout, restricted headroom, radiator, carpeted flooring, airing cupboard with boiler, door and stairs to lounge. 23'05'' X 13'03'' Two windows to front aspect, TV and phone point, storage cupboard, exposed beams and posts, carpeted flooring. Door with stairs to bedroom 4, door to bathroom, radiator, carpeted flooring. Dual aspect windows and velux windows, TV and phone point, exposed beams, restricted headroom, radiator, carpeted flooring. 14' X 13'01'' Paneled corner bath, separate shower cubicle, low level w/c, hand basin, two radiators, fitted storage cupboard, extractor fan, tiled splash areas, obscured windows to side and rear, carpeted flooring. 11'02'' X 8'08'' Velux window, radiator, door to dressing room, restricted headroom, carpeted flooring. 8'10'' X 6'05'' Two velux windows, radiator, door to airing cupboard with tank, carpeted flooring. Brick paved throughout with raised levels, tree and shrub beds, enclosed wooden fence. 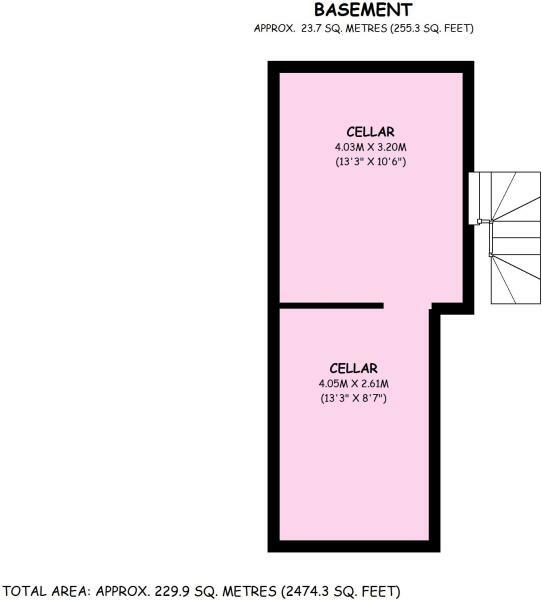 13'02'' X 12'08'' Window and door to front, laminate flooring, power and lighting, door to cloakroom with low level W/C, hand basin. 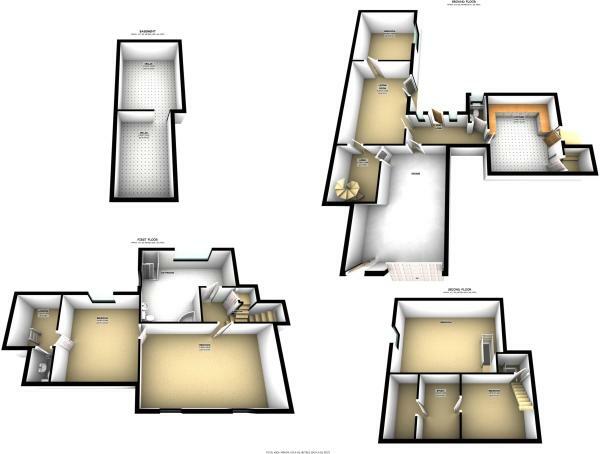 13'04'' X 12'11'' Window and door to front, open feature fire place, phone point, power and lighting, carpeted flooring, door to cloakroom with low level W/C, hand basin. Newport Pagnell is a modern thriving market town situated in the North East of Buckinghamshire. The history of the area dates back to the Iron Age and the town itself is from the Roman period. The home of Aston Martin and close to Milton Keynes for shopping and the theatre. Close to the M1 motorway for easy access to London and the north. Good rail links, with London only 45 minutes away. The high street has shops such as Boots the chemist, the Co-op and local butchers, bakers and greengrocers, many restaurants and public houses. There is also a local indoor swimming pool and public library. Schools: Cedars School, Green Park School, Ousedale School, Portfields School, Tickford Park School. Disclaimer - Property reference 5HighS. The information displayed about this property comprises a property advertisement. Rightmove.co.uk makes no warranty as to the accuracy or completeness of the advertisement or any linked or associated information, and Rightmove has no control over the content. This property advertisement does not constitute property particulars. The information is provided and maintained by Astons Estate Agents , Newport Pagnell. Please contact the selling agent or developer directly to obtain any information which may be available under the terms of The Energy Performance of Buildings (Certificates and Inspections) (England and Wales) Regulations 2007 or the Home Report if in relation to a residential property in Scotland.